Choosing the right host for a blog does not necessarily guarantee improved ranking, but choosing the wrong one will probably result in significant consequences. It is important that bloggers choose their host carefully, and take more than just price into account. Here are some factors to consider when looking for SEO-friendly web hosting. • Speed plays a big role in Google’s ranking algorithms; a web host will need fast processors to aid in the execution of PHP scripts These processors will speed up the performance of websites that rely on databases. Page load speeds are extremely important for SEO as the goal of search engines is to provide users with a good experience, which includes fast-performing websites. It is important to note that the speed provided by a web host can fluctuate, therefore the site owner should check their speeds regularly. The site owner may even ask for their site to be moved to another server. If there are hundreds of sites sharing the same server and the same resources, they may see decreased performance compared to a less crowded server. • The server should ideally be in the country of the top level domain. For example, a website targeting Japanese users should have a .jp domain and the server should be located in Japan. 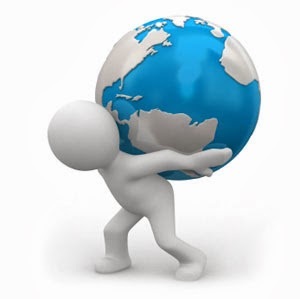 Search engines take location into account when determining rankings; additionally, locating a website in a country far away from its target audience can increase ping times and slow down page load times. • A web site should be up as close to 100 percent of the time as possible. While 100 percent uptime may be impossible, 99.9 percent is not and should be guaranteed. If Google attempts to re-crawl a page and that page is still down, the page will most likely be removed from its index. The less downtime there is, the less risk of this happening. Google and other search engines want to provide reliable and up-to-date results for their users so sending them to inactive sites reflects badly on them. • A web host should have enough bandwidth capacity to handle high traffic. A site owner should check to make sure that their web host has the scalability to handle their future traffic needs and thus minimize downtime. • If the server has to be down for some reason, it should provide visitors with a time when it will be back up. It should also provide search engine crawlers with a 503 status code so that they know that the site is temporarily unavailable. Google’s crawler will slow its crawling rate as a result of 503 headers but this should not cause any long-term SEO problems. Sites may be punished by Google if they share an IP address with a site that spams the Internet. If a site owner attempts to boost their SEO with low-quality backlinks, Google will consider it spam and may not distinguish between sites and site owners who are sharing the same IP address. The result is that a website using entirely white hat SEO practices may be punished along with the spammy sites. While using a shared IP hosting account may be cheaper, for long-term SEO success it is best for a blogger to pay for a unique IP address. There are a number of tools available online that allow a site owner to check their IP neighborhood for spammers.